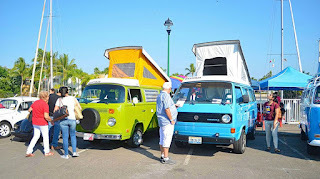 Mexico’s Pacific Treasure supports events with a cause; over 200 cars and 1,500 classic and tuning car aficionados came together on January 13th and 14th at Nuevo Vallarta’s Business Center. This is a passion that, far from ebbing, has only grown over the years. 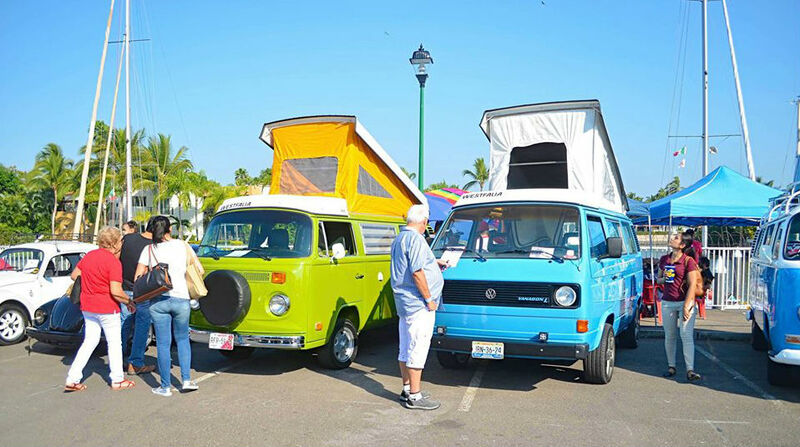 Classic and modified car aficionados are very special, since they go through life moving from exhibition to exhibition, showing their vehicles off with pride much the same way the did on January 13-14 at the 2nd Nuevo Vallarta Car Show. 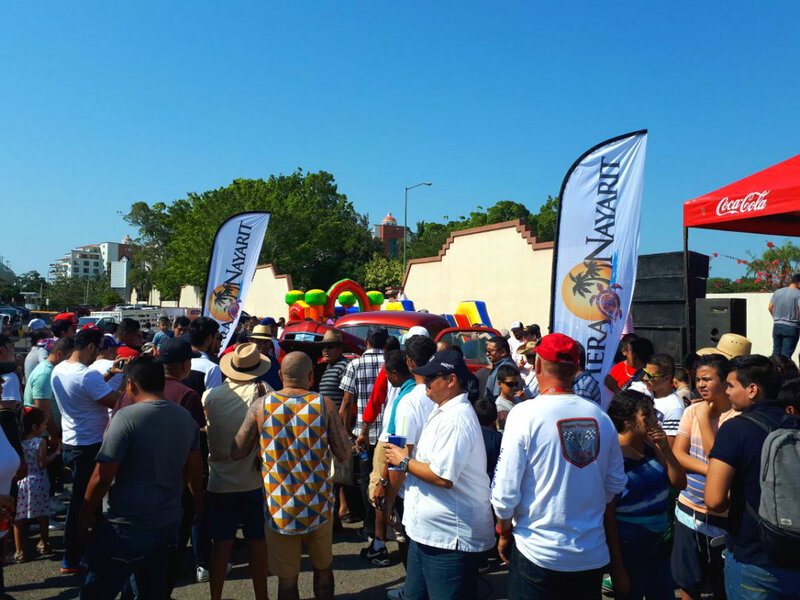 The event has the support of the Riviera Nayarit Convention and Visitors Bureau (CVB) and the Government of the State of Nayarit via the Ministry of Tourism. A parade through the main streets of Nuevo Vallarta was held on Saturday the 13th that culminated in a welcome party for participants coming from cities including Guadalajara, Guanajuato, Aguascalientes, the State of Mexico, Tepic and Puerto Vallarta. There they had the opportunity to “show off” their classic, euro, tuning, and custom vehicles, as well as their motorcycles. On Sunday the participants met again at 9 in the morning where, besides the exhibit, there was a competition where categories included everything from classic car in its original state to a modified auto. At the end they handed out awards to the top 100 cars, 20 per category. One of the most-awaited moments was the unveiling of a modified truck designed by Martín Vaca from the Mexicánicos TV series on Discovery Channel. The truck is owned by Guadalajara native Francisco Barba and was presented in the episode transmitted in May 2017. It’s a 1949 Ford pickup that took four years to restore and was handed to its owner just six months ago. A 1979 Bronco owned by Celso and Víctor Enríquez was also unveiled—they invested almost six months in restoring the vehicle. At the end of the event, Carlos Rodríguez, president of the Nuevo Vallarta Wolf Bugs Club, thanked the sponsors for their support, including the Riviera Nayarit CVB, which contributed to bringing more tourism to the region. The Riviera Nayarit Convention and Visitors Bureau (CVB) and the Bahía de Banderas Hotel and Motel Association lend their support to sports competitions, conventions and cultural activities as part of their promotional efforts; these activities put the destination in the spotlight, generating visitors and exposure thanks to the media coverage they receive, all with the backing of the State of Nayarit through its Tourism Promotion Trust (Fiprotur).